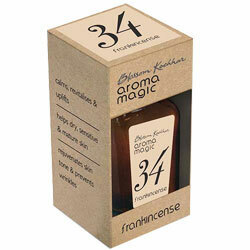 Aromamagic Frankincense Oil - Calms, revitalises & uplifts, dry sensitive & mature skin. Rejuvenates Skin tone and prevents Wrinkles. Helps dry sensitive and mature skin.